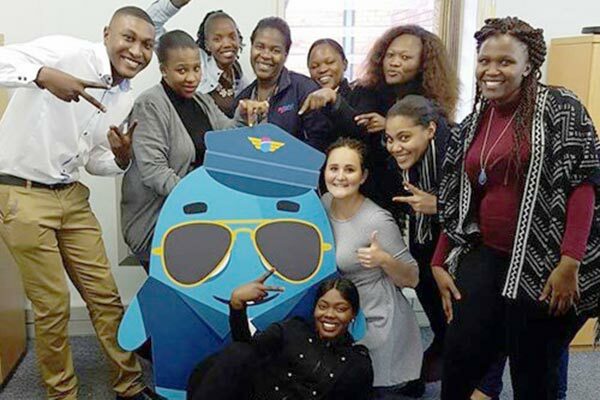 FlySafair started selling tickets online on Monday 23rd September 2013, with a one-way ticket from Johannesburg to Cape Town costing R798. 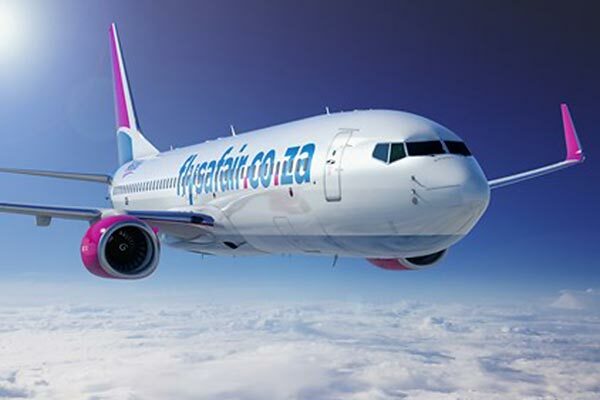 FlySafair has not ruled out other destinations, such as Durban, in the future. FlySafair is a brand new high value airline which already has a proud heritage. FlySafair are now officially the world’s most punctual airline which is an incredible achievement for a South African domestic Airline. Founded by Safair, probably South Africa’s best known air logistics and specialised air services company, FlySafair was born from a company that already has 48 years of experience. The airline consider themselves as South Africa’s oldest newest airline. During that time, they have reliably and successfully transported medical supplies and food relief into inaccessible territories for the United Nations, the World Food Program (WFP) and a host of other international aid agencies. So, it seems that getting great deals on Flysafair domestic flights is about to become even more exciting for consumers. This new airlines is guaranteed to bring cheaper flights to our skies as competition hots up. Be sure to signup to our newsletter as we continually bring you special offers on Safair flights. Sign up to our newsletter as we continually bring you special offers on Safair flights. Booking your flights couldn’t be easier. Simply enter your Safair flight booking requirements into the search box and within a few seconds you will have all the information you need to plan your trip. We compare thousands of cheap flights together with all the other airlines offering flights on the same routes to ensure you get the best possible deals and lowest prices on FlySafair. 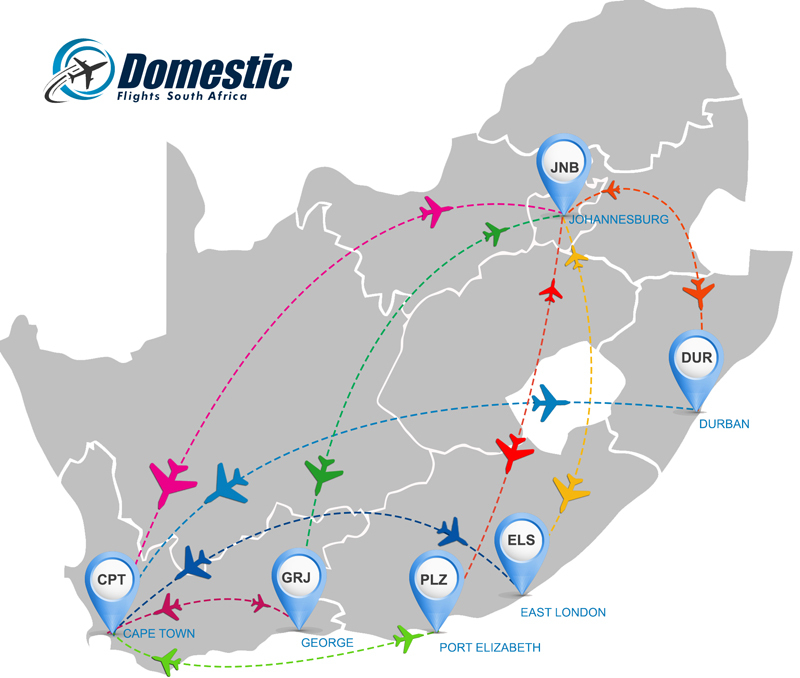 At Domestic Flights South Africa, we search relentlessly for comparable flight prices. Below is a comprehensive list of the Safair flight bookings as they take place and highlights the cheapest flights on offer. Some of the more popular flights include; FlySafair cheap flights from Durban to Johannesburg, Safair flights to Cape Town and Durban as well as flights from Port Elizabeth to Johannesburg. 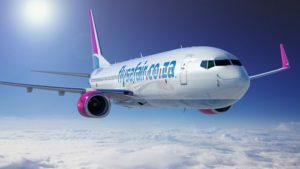 Where To Buy FlySafair Tickets? Right here of course. At Domestic Flights South Africa we guarantee the best prices on Fly Safair tickets. Use our FREE Flight Booking tool and get your tickets booked and paid for in a few minutes. Where does FlySafair Fly To? 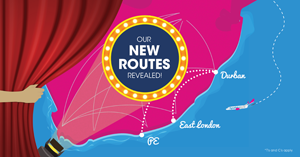 FlySafair just announced the introduction of new routes between Durban’s King Shaka Airport and East London as well as Durban and Port Elizabeth. Commencing from the 27th November 2017 – tickets are on sale from R399.00 already so don’t miss out. A limit of 20kgs will apply per bag. Should you purchase EXTRA LUGGAGE your total limit should not exceed 40kgs. NOTE: Any bag with a weight over 32kgs will be transported as CARGO Hand luggage weighing in excess of 7kgs per bag or too large to fit into the overhead stowage compartments will need to be checked in to the hold. Hand luggage maximum size dimensions (56cm x 36cm x 23cm) Unaccompanied Minors and Pets Unfortunately, the airline does not allow unaccompanied minors on its flights. Only children over the age of 12 are permitted to fly alone. Any children under the age of 12 are required to be accompanied by a passenger 16 years or older. FlySafair flights are unable to transport pets. Special Needs Requirements for special-needs passengers must be concluded with ‘FlySafair’ within 48 hours of departure. Meet and wheelchair assistance is provided by staff from check-in counters, to and from the aircraft, and into the arrival hall. Passengers may use their own approved aviation oxygen and should check the website for applicable regulation portable oxygen concentrators allowed on flights. For safety reasons, the airline does not accept ‘stretcher’ passengers. Guide dogs are carried free of charge provided the passenger is fully dependent on the animal proven through the necessary documentation. Pregnant women who are less than 28 weeks do not need to notify the airline, but those that are 28 to 34 weeks pregnant must present a medical certificate confirming fitness for air travel. The airline does not accept pregnant passengers from the start of 35 weeks onwards. No pregnant passengers may be seated in emergency row seating. Be sure of your requirements when making your booking to avoid paying a penalty for changes. If you prefer certain seats you can choose a pre-selected seat in front for an extra R60, at the back for an extra R40 or an extra-room seat for an additional R100. These are not included in your ticket prices. Check-in on flights commences two hours before the flight departs and ends 40 minutes before takeoff. All passengers are required to produce photo ID for check-in. Infants and children will be required to produce a certified copy of their birth certificate. Checking-in online before arriving at the airport saves time and helps avoid the long airport queues. Online check-in opens 24 hours before departure and closes 4 hours before takeoff. You will need your FlySafair reference number and the travellers surname to complete the online check-in process. If you have checked in online, you will still need to go to the bag drop-off at the airport if you have bags to go in the hold. FlySafair currently operate Boeing 737-800’s with a seating capacity of 189. They also fly the renowned and safe Boeing 737-400’s. 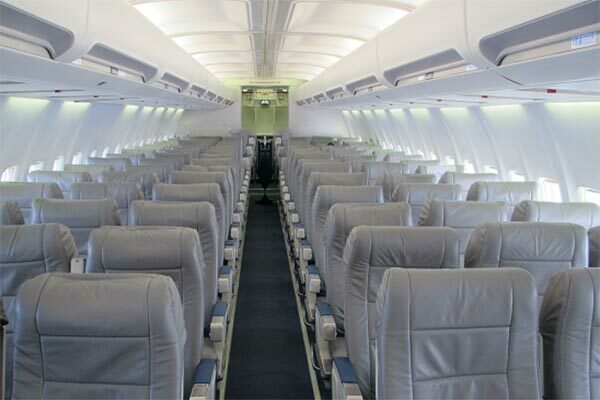 The Boeing 400’s have a seating capacity of 165 passengers per aircraft. Head Office is located at: Northern Perimeter Road, Bonaero Park, 1619, South Africa. GPS Coordinates for FlySafair @ -26.120754,28.246024 P.O. Box 938, Kempton Park, 1620, South Africa. I booked my Flysafair flight through domestic flights South Africa. I got a great deal on my flight prices. The only issue I have with Flysafair advertising the lower prices is that the baggage charge is actually an additional cost whereas other airlines include this in the price. Other than that my flight was pleasant and on time. Not a bad experience with Flysafair all round. Flying my family of 5 around South Africa is always an experience. This time we flew Cape Town - Durban and back on Flysafair. The flight itself was pretty decent, courteous staff and generally a pleasant experience all round. We got a great deal on flights through Domestic Flights South Africa's website. Truly the best experience i have had so far when booking my travels online. Super easy and user friendly platform. I had a plethora of choices when it came to selecting the airline that i wanted to fly with, it's even better that my return ticket was with a different airline as well, very cool! My flight experience with Flysafair was excellent. Air hostess was friendly and helpful. Have recommended Flysafair to friends. I have flown on FlySafair many times now and they are just so on time every time. The prices are great for inter city travel, just to get away for the weekend. The aircraft is spacious and the staff are really helpful. We have flown to Johannesburg to go to Sun City and already booked for Cape Town in September. The 28/06 landing at 16:05 departing from ORTambo flysafair flight. I was travelling from Durban to Cape Town on the 04th of July. I was so impressed with the service in the plane and the time arrived at Cape Town. We arrived earlier that the projected time to arrive. i have been using Domestic Flights South Africa to book my flights for many years now and have never had any issues. Great service offering all round thank you. I can recommend flysafair for their wonderful service with my moms flight JHB to PE. She needed wheelchair assistance and they were absolutlely amazing. The staff is helpful, friendly and such a pleasure to fly with flysafair. I need to fly in December and will not use any other Airline. I was very nervous to travel alone with my little brother. Safair staff was friendly and tried to make me comfortable. They were very kind and kept checking on us. I managed to scoop one of the coveted R4 tickets from Flysafair and decided to enjoy a weekend in Durban, Umhlanga Rocks. What a beautiful place. I was super impressed with the vibe along the main road and there seems to be so much happening in terms of development. Great flight and a great town. Awesome!